A freshly caught fish is a treat not to be missed. The fishermen of Sant Carles de la Ràpita organize fishing trips on their boats where you can sample their catch there and then in the middle of the Alfacs Bay. Offering the adventure of being on an actual fishing boat in the natural setting of the bay and the Ebro Delta, these trips allow the visitor to experience a direct contact with local cooking and the fishermen’s techniques. Tourists can learn about traditional fishing methods – environmentally friendly – or even try them out and try to catch a fish. Another complementary activity involves a boat trip round the mussel farms, crossing the Alfacs Bay, and visiting the Trinitat salt lakes on the edge of the Delta, before stopping off at a mussel farm in the middle of the bay to sample recently collected, freshly prepared mussels and oysters. This mouth-watering explosion of flavours is accompanied by a glass of cava while enjoying the unique unspoilt and deserted landscapes the Ebro Delta gifts us with. One of the gastronomic delicacies of the Ebro Delta area is the shellfish, and, in particular, the oysters. Locally cultivated in the Fangar Bay within the Ebro Delta Natural Park, they are very tender and flavoursome thanks to the nutrient-rich waters they grow in. They can be eaten raw or cooked. Oysters have been cultivated in a traditional manual way here for many years. Try them raw with a few drops of lemon juice, alongside a glass of cava or wine. Give your senses an elegant treat.  The Guia Peñín wine guide lists some of the wines from the Terra Alta, a region upriver in the north of the Terres de l’Ebre, as being among the best in Spain. Full-bodied white wines with a high alcohol volume, red wines with their own personality, and internationally recognised fortified wines all explain why the production in this area has been awarded the Designation of Origin (Denominació d’Origen) label, a Catalan stamp of quality produce. The most important grape-types are the Grenache Blanc and Macabeo for white wine, and the Black Grenache, Cinsaut, Syrah, and “hairy” Grenache for red wine. Locally produced rosé wines are very fruity with a characteristic cherry colour, and fortified wines allowed to age outdoors in traditional oak barrels are highly appreciated.In the Terra Alta, wine tasting can be combined with visits to the Modernist-style wine cellars in Gandesa and Pinell de Brai. Known as “cathedrals of wine”, these stunning structures were designed by Cèsar Martinell, an apprentice of the well-known Catalan architect Antoni Gaudí. At the end of the 19th century, the enthusiasm for modernist architecture was also shared by rural society thanks to these cooperative buildings and the mechanization of their production processes. The Pinell de Brai wine cellar is the maximum expression of agricultural cooperativism in Catalonia. The architect Cèsar Martinell started work on it in 1919, using traditional Catalan building methods alongside the innovative techniques his mentor, Gaudí, had mastered. This building offers a perfect combination of beauty and functionality, the core ideas of Modernism. The vastness inside the building and the light seeping through its church-like windows creates the feeling of being inside a Gothic-style cathedral.The wine cellar in Gandesa was also designed by Martinell. Built in 1920, the Catalan vault ceiling is especially note-worthy. On the roof there are two huge water tanks and ceramic gargoyles varnished in green.